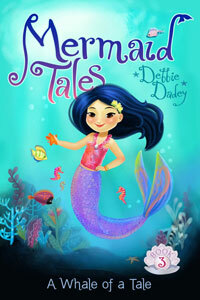 Hi Zaina and Lorelai, I now have thirteen Mermaid Tales books. Ben, my book, The Polar Bear Express, has many types of poetry in it. Ava, Emily, and Abby-one of my favorite things to do is read. 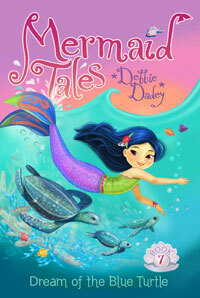 Azim, William, Kaitlyn,, and Emily-many of the Bailey School Kids books took about a month to write. 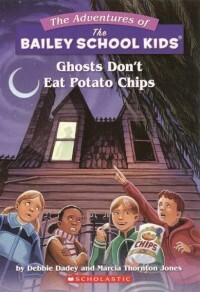 Maddie, I'm so glad you liked Ghosts Don't Eat Potato Chips. It actually took two years to write! 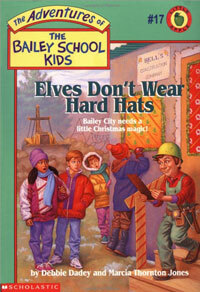 Landen, glad you liked Elves Don't Wear Hard Hats. It was fun to write. Dylan and Norah, I think Hollis Bell is an elf, do you? Norah, here's another joke for you: What does Tarzan sing at Christmas time? (Jungle bells!) 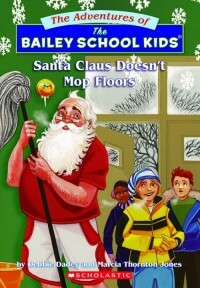 Braelyn and Max, at this time of year Santa Claus Doesn't Mop Floors is definitely one of my favorite books. Cayleanna, Chase, and Jordan: I have two brothers (Frank and David). Azim, Frank bought his BBQ place. It is really good food! Wyatt, Alex, and Mason-I have three wonderful children. Christian, Chase, and Brenden-I love both my dogs! They are each special in their own way. Nate, dogs are my favorite animal. What's yours? Wow, Iain-eight dogs! 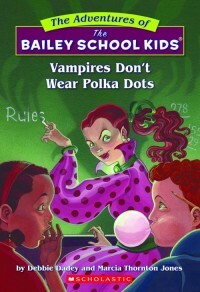 Ian and Devin, my first book was Vampires Don't Wear Polka Dots. Ethen, I went to Weaverton Elementary School. It isn't even a school any more! Kagen and Devin, I went to Henderson County Middle School. Christian, I went to Henderson County Senior High for high school. Hailey, I went to Western KY University. Caleb, I have been a teacher and a librarian. I loved both, but I like being a writer even more.